Received an honorable mention in the international two-stage competiton for the Viljandi’s new hospital and health centre! The renovation of Machinery Hall of the A. M. Lutheri Furniture Factory received the 2018 Annual Award of Estonian Association of Interior Architects! This was nominated also for Estonian Association of Architects’ awards as well as Annual Architecture Awards of the Cultural Endowment of Estonia. New MAJA, Estonian Architectural review is now out, including an interview with Hanno Grossschmidt and Tomomi Hayashi. Our reconstruction project of Lutheri Masinasaal, an former furniture factory from 1912 is nominated for the Union of Interior Architect Award 2018 as well as Union of Estonian Architects Award 2018. Also one interior project, The Creative Fuel at KultuuriKatel, done in a collaboration with Mari Põld, Ahti Grünberg, Tõnis Kalve, is competing. Tallinn's Urban Planning Department has merited us for excellent restoration work and interior design of the year 2017 for the "Luther Machinery Hall" conversion project. ANA's inflight magazine 「翼の王国／Wingspan」 has featured Estonia and its sauna culture and the Floating Sauna was also mentioned there. Conversion of Lutheri masinasaal, a former furniture factory building from 1912 has got the Special Award from Estonian Union of Concrete. “Estonian National Museum” has received 2017 Annual Architectural Award from the Estonian Cultural Endowment as well as 2017 Estonian Association of Architects' Award. Also “Tokumaru Takeaway” was nominated for 2017 Annual Prize of the Estonian Association of Interior Architects. HGA has won the 2nd prize in the open competition for the regenerating of the "Tallinna Kaubamaja" department store! Conversion of Lutheri masinasaal, a former furniture factory building from 1912 was given a tile of "The properly restored heritage 2017" by the Cultural Heritage Department of the Ministry of Culture. Our renovation project "Lutheri Masinasaal" opened its doors. A former plywood factory from 1912 with impressive "basilica" of concrete structure is now converted into office space. Floating Sauna was published by neighbouring countries magazines including Project Baltia of St.Petersburg, Russia and DEKO of Latvia. The Estonian National Museum is featured in Shinkenchiku magazine 12-2016. DETAIL magazine 11/2016 "Transparent" featuring the Estonian National Museum is now out. Floating Sauna has been nominated for 3 awards including the Estonian Association of Interior Architects (ESL) Annual Prize 2016 Installatsion category, “Small project 2013-15″ award by the Union of Estonian architects and “Wooden construction 2016″ awards by the Estonian Forest and Wood Industries Association. For the result we will keep you posted! Estonian National Museum is finally open to the public on 01.10.2016. 8 years of hard work as a local architect is now ended! Apartment building in Jakobi Street, Tartu received “Best New Apartment building in historical area 2015” by City of Tartu. Installation "Paper Library" was nominated for the Estonian Association of Interior Architects (ESL) Annual Prize 2015 Installatsion category as well as the Architecture Prize 2015 “Architectural activity” by the Estonian Culture Endowment "Restaurant Tokumaru" was nominated for the Estonian Association of Interior Architects (ESL) Annual Prize 2014 Restaurant category. The [ark] Sto Journal published an interview with Tomo as a part of special feature of Tallinn's architecture. HGA participated in EAL annual exhibition "“Mängiv inimene. Kaheksa visiooni lasteaedade arhitektuurist/ Playing person. 8 visions of kindergarden architecture"
Riga's Paper Object Festival will be viewed again in Tokyo including "Paper Library" between 20.09-28.09 at Youkobo Art Space. Tomo participated as a jury in University of Tennessee Summer Studio reviews, took place in Aalto Univiversity in Helsinki. An interview about the installation in Riga with a web magazine FOLD. Tomo will make an installation for the Paper Object Festival in Riga, as a part of European Capital of Culture. Tomo participated as a jury member for master thesis works at Brno University of Technology in Czech Republic. HGA with friends received honourable mention, 4th place in the competition for the Estonian pavilion EXPO 2015 Milan. "Japanese studio" room in Mektory in Tallinn University of Technology has completed. Apartment building in Nõmme completed. Musician's house shared 2nd place with two other entries for "Private House Award 2008-2012". Installation for TAB (Tallinn Architecture Biennale) is ready. Hong Kong publisher, Pace publishing included the BAUA exhibition design into a book "Space 2 - Exhibition"
HGA's Rotermann's Old and New Jahuladu project has been selected for the East Centric Architecture Triennale in Romenia. 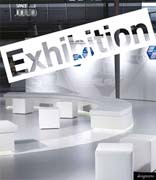 The exhibition takes place in Bucharest in October, 2013. On 30.04 construction for the Estonian National Museum has officially started with a corner stone ceremony attended by the President of Estonia as well as HGA's Apartment Building in Nõmme has topped out. HGA won an invited competition for an apartment building in Tartu. 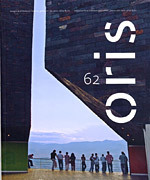 Publication for 2010 Young architect prize NAP for HGA is now out. Our project, Rotermann's Old and New Flour Storage and Apartment Building in Lootsi Street were featured in archdaily! German magazine Baumeister wrote young Estonian architects' buildings including our Rotermann's Flour Storage. Construction for the Apartment Building in Nõmme has started! HG has won 2009 Estonian Culture Endowment Prize for Architecture with Rotermanni Flour Storage! Rotermanni Flour Storage office building completed! Project Baltia No.29 "WOOD" featured "Floating Sauna"
DETAIL magazine 11/2016 "Transparent" featuring the Estonian National Museum in two articles. Latvian desgin magazine DEKO 3/2017 wrote about the "Floating Sauna"
Nominees of the Estonian Culture Endowment Prize 2014-2015 including an installation "Paper Libdary"
Installation "Paper Library" and Interior project "Noodle Restaurant Tokumaru" are featured. 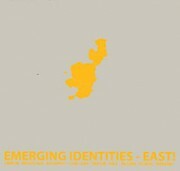 EAL annual exhibition's catalogue is out now! Russian magazine Project Baltia 03/2014 wrote "Paper Library"
Europaconcorsi.com featured report about the installation "Paper Library" in Riga. Lift 11 Urban Installation Festival became a catalogue, including "Merele (To the Sea)"
Magazine MAJA, 2011-3 wrote about installation "Merele"
Musicans' House was published in a magazine "ERAMU ja korter"